What could be much cooler than combining a cafe with a record store? Not much I say! 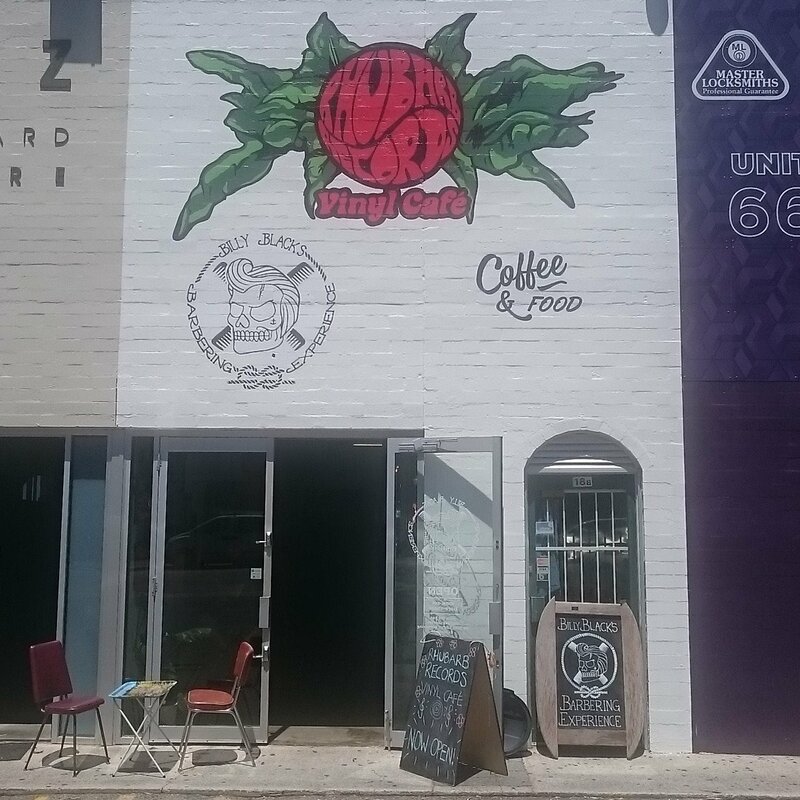 Local record store Rhubarb Records recently opened up their Vinyl Cafe in Leederville, which combines owner Dylan Sainsbury’s two passions – music and food! Dylan worked as a chef for seventeen years, but was unable to get permission to serve food and coffee in his East Vic Park record store, so when the opportunity came up to open up a shop on Newcastle Street, he knew he had to take it! Rhubarb Records is a relaxed space for music lovers and vinyl collectors to meet, hang out and share their interests together over a quality coffee. The East Victoria Park store stocks a large array of vinyls, while the Leederville branch stocks a fresh weekly selection of new and second hand vinyl on rotation. Rhubarb Records takes great care with customer service, vinyl quality and selection and affordable prices. They also run a small record label with a couple albums already under their belt. Live music is planned to take over the cafe too, so keep an eye out on their website and Facebook page to see what’s coming up!